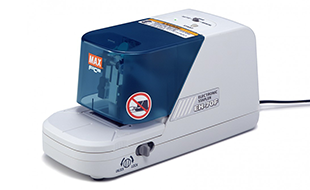 The EH-70F is an innovative electronic stapler for rapid professional quality stapling. Ideal heavy duty electronic stapler for busy offices, mail rooms and copy centres, featuring a durable metal frame and quiet motor-driven mechanism. Interested in the Max EH-70F? Contact us to see what this Electric Stapler can do for your business!